The band’s newest video is both comical and catchy. With holiday spirit flooding the video, it is very evocative of a video you might have seen on the early days of MTV. As beautiful girls dressed in their sexiest Santa get-up are serenaded by the simple yet profound lyrics, “I’m so hungry, so hungry for you,” the band sporting Santa hats and glitter galore achieve a different level of success. As mentioned on Stereogum, the band achieved success with the release of their first holiday track titled, “Christmas Time (Don’t Let the Bells End)” in 2003. This fun and simple, yet true to simplicity track will be a hit among fans of the band as well. With successful albums such as Permission to Land and Hot Cakes already in their corner, the band’s fan-base has proven loyal and steadfast through the years, and the holiday tunes don’t seem to deter anyone. 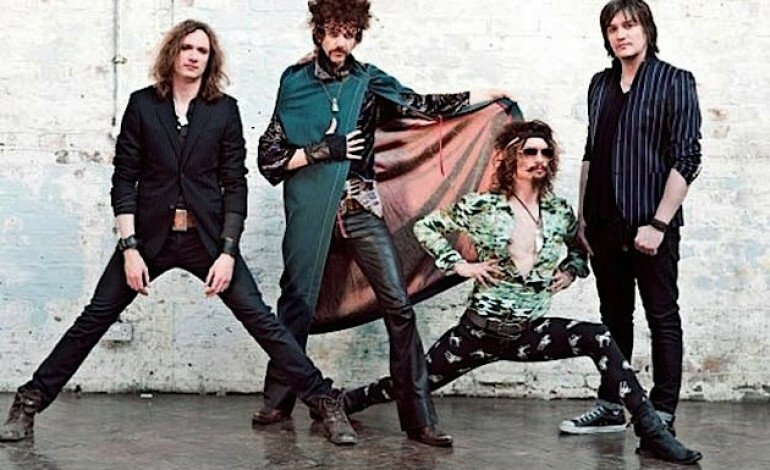 The Darkness has always been a band with a unique presence and a fun enjoyable sound. It makes sense that only a band like them could pull off a holiday track that’s catchy, and dare I say…kinda cool.